American School will exhibit at the Texas Homeschool Coalition Convention from July 23-25 at The Woodlands Waterway Marriott. American School has saddled up and is heading to the Houston area for the third consecutive year, and this year, the 118-year old distance learning institution is bringing online courses and online diploma programs along for the ride. Guests who attend the Texas Home School Coalition Convention from July 23-25 at The Woodlands Waterway Marriott are invited to visit American School in booth 104. Representatives will be there on July 23 from 5-7 p.m; July 24 from 9:30 a.m.-6 p.m; and July 25 from 9:30 a.m.-5:30 p.m. to meet any and all interested homeschoolers and their parents. "The THSC Convention is one of the biggest shows in the country, and we're happy to be invited back to it," American School President Gary R. Masterton said. "We're particularly excited about our new online learning offerings that give our students even more flexibility than ever before." 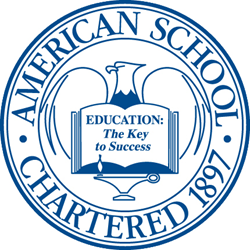 American School now offers its General High School and College Preparatory diploma programs entirely online, and individual courses are also available online. These individual courses, which can include online world language courses powered by Rosetta Stone, can be effective for homeschoolers who are happy with their existing program but who wish to add additional courses not easily offered through traditional homeschooling means. "While we're excited about our online courses, we still have a robust paper-based curriculum," Masterton explained. "Some students prefer to learn the old-fashioned way, with a textbook and study guide and by doing everything on paper. We're happy to accommodate them." Either way, students will pay an affordable tuition since American School in non-profit. Diploma programs cost between $2100 and $3600 for 18 units of credit, and individual courses cost between $150 and $300. Individual online courses cost either $200 or $250, depending on the length of the course. "Students can also feel confident that they are taking courses through a reputable institution," Masterton said. "We are accredited by MSA-CESS, Ai and NCPSA and are recognized by the state of Illinois as a non-public high school." For more information, visit http://www.americanschool.org or call 866-260-7221.